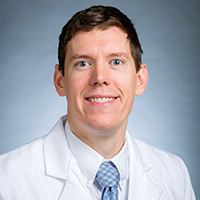 Brian J. Boyce, MD, is Assistant Professor in the Department of Otolaryngology at Emory University School of Medicine. A board certified otolaryngologist, Dr. Boyce's clinical and surgical expertise is in cancerous and non-cancerous tumors of the head and neck, microvascular reconstruction, minimally invasive and cosmetic treatment of parotid tumors, transoral robotic surgery for tumors and sleep apnea. Dr. Boyce holds professional memberships with American Academy of Otolaryngology - Head and Neck Surgery, and American Head and Neck Society. He is a Fellow of the American College of Surgeons. Dr. Boyce obtained his Medical Degree from Medical College of Georgia in Augusta, Georgia. He completed his residency in otolaryngology at The Ohio State Wexner Medical Center in Columbus, Ohio. He also completed a fellowship in Head and Neck Surgical Oncology and Microvascular Reconstruction at Thomas Jefferson University in Philadelphia, Pennsylvania.